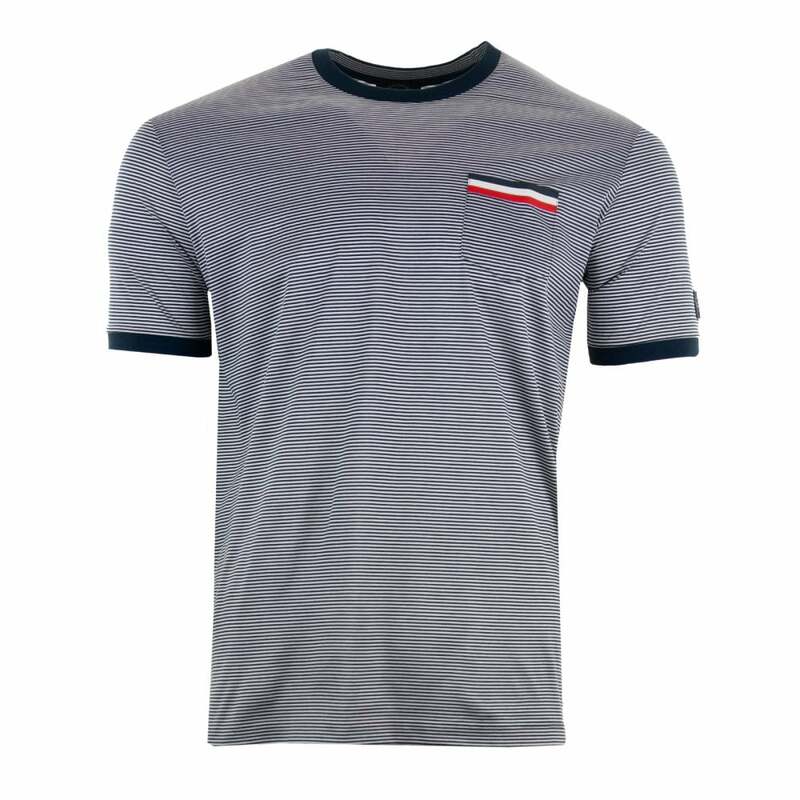 This Paul & Shark Pocket Stripe T-Shirt is 100% cotton and has navy and white stripes. It is short sleeved and has a crew neck . There is a pocket on the chest with navy, white and red stripe detail. Paul & Shark Yachting branding appears on an embroidered patch on the left sleeve.